KangerTech GeniTank Pyrex Glass Single Cartomizer - 2.4ml, comes with a single cartomizer without decorative ring, the newest clearomizer/cartomizer e-cigarette with pure taste and new design. Kangertech GeniTank Atomizer, comes with a single 2.4ml tank without decorative ring, it will bring you pure taste. • Use the syringe or dropper to fill less than 2.4ml e-liquid. Do not overfill it. • 510 thread, fit all 510 thread batteries. Super good. Thank you, i recommend this seller.Very quick delivery, the product arrived in a good condition, I am competely satisfied. 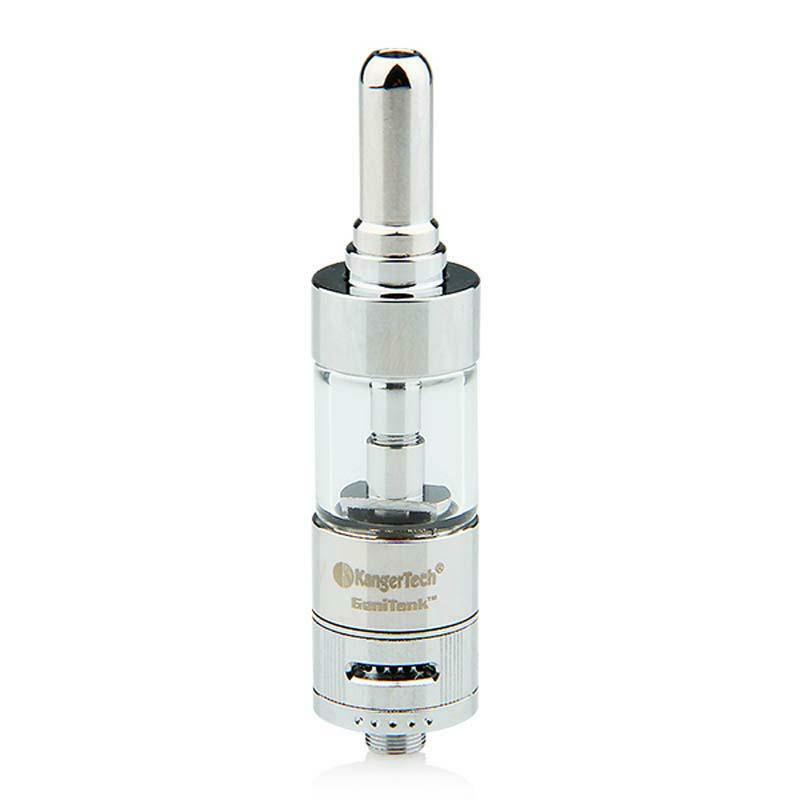 Kangertech GeniTank Atomizer is a 2.4ml capacity tank made from a pyrex glass. With a airflow control. All its part can be removed and replace.